According to a recent article on Digiday, millennial moms have more buying power ($200B) than any previous generation of young mothers. Despite their overall buying power, many millennial moms are judicious about where they spend their money each month. As part of the POPSUGAR Insights #Momstamina study, we explored the role of millennial moms as purchase decision-makers, their spending habits in key categories, and their plans to purchase specific types of products in the near future. 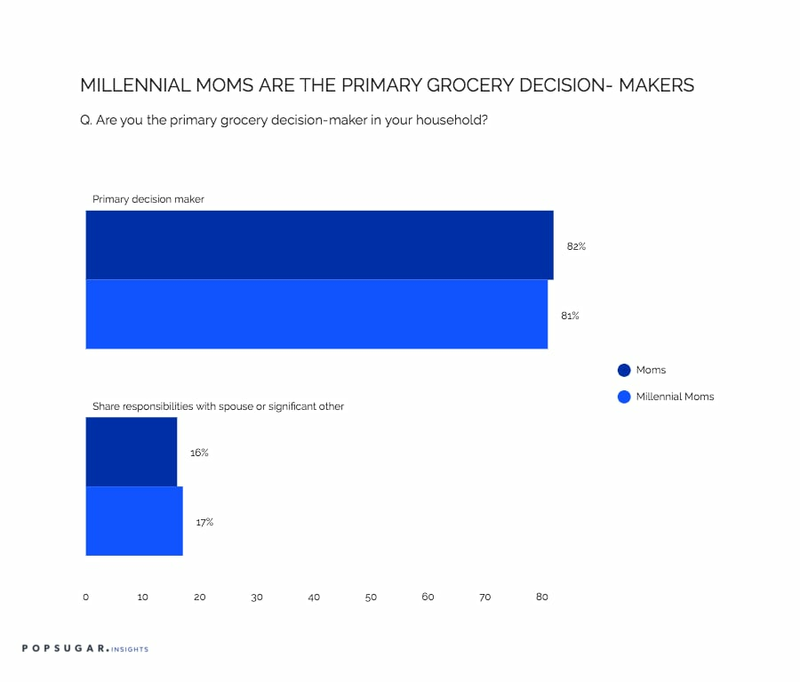 In our study, we learned that 81% of millennial moms are the primary grocery decision-maker in their household, while another 17% say that they share responsibilities with their spouse or significant other. Only 2% of millennial moms say that they have no role in their household's grocery decision-making. In terms of spending in key home-related categories, 66% of millennial moms say that they spend more than $200 per month on groceries for their household. The money they are spending to dine at home is impacting their ability to go out and purchase entertainment or dine at restaurants. Nearly 60% of millennial moms say that they spend less than $100 per month on dining out, and 69% of millennial moms say they spend less than $100 per month on entertainment (including movies, sports, etc.). Forty-four percent of millennial moms indicated that they spend less than $50 per month on entertainment. 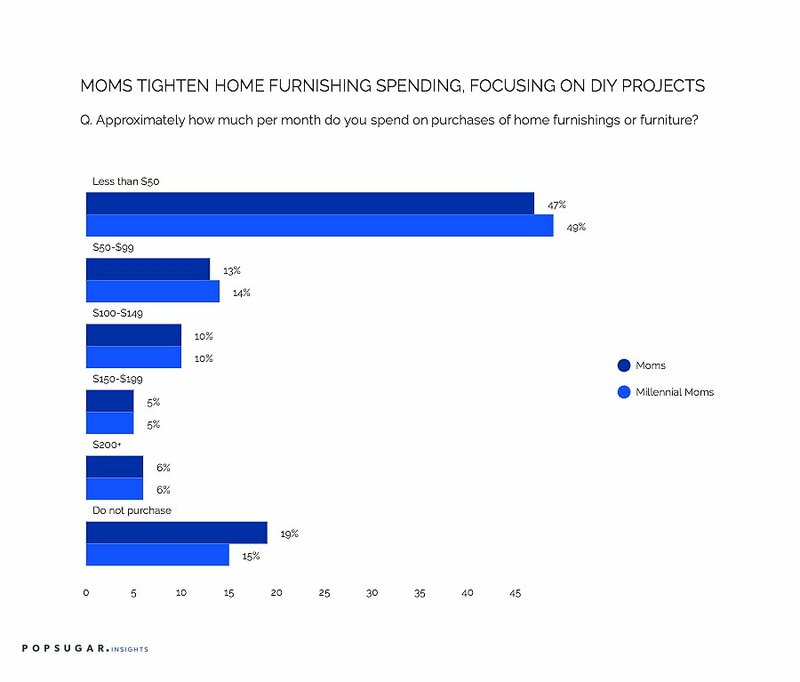 For home decorating and home furnishings, moms are also tightening their spending and focusing more on DIY and other ways to spend less. Nearly half of millennial moms say that they spend less than $50 per month on home decor or supplies, and 49% say they spend less than $50 on home furnishings or furniture.